Preheat the oven to 200 degrees celsius or gas mark 6. Place the three whole spices on a baking tray and dry roast untilt the green cardamoms turn pale brown. In a small food processor or blender, grind the whole spices together with the ginger, garlic and a tablespoon of water. Leave the oven on. Bring a large pan/pressure cooker (at least 5l) with three tablespoons of oil to heat over a high flame. When the oil is hot, add the onions and fry for about five minutes until they turn pale caramel. Then add the spice paste and stir for another five minutes until the onions soften. If the paste starts getting stuck to the bottom of the pan, add a little hot water and scrape it off. Now add the spice powders, the lamb shanks and the tomatoes, and stir like mad for 10 minutes. Add salt according to taste, submerge in hot water and either leave to cook on a medium flame covered for an hour and a half, or in a pressure cooker for 25 minutes after the first whistle. In the meantime, coat the sliced potatos with one tablespoon of oil, some salt and bake in the oven for about 25 minutes, flipping over mid way. Remove from the oven as soon as they are done, to prevent them from going soggy. You could just use readymade oven chips, but this was so simple and satisfying. When the lamb is cooked, sprinkle the sugar, the worcestershire sauce and the apricots into the curry. It should be rich and thick, so do add a bit of water if it is too dry. To serve, spoon a lamb shank onto a plate. Serve some potato chips and brown basmati rice on the side. Then sit back and recover. ha ha ..it is hard to give up control..worse to take it back!! This one is so so good…..sure to make you feel better. Where is the Post title ? I second that. I too like my kitchen to myself. I trow my hubby out when he come in to take over. Thanks ladies and ugh – I totally forgot to give the post a title. This is how sick I am, see??? 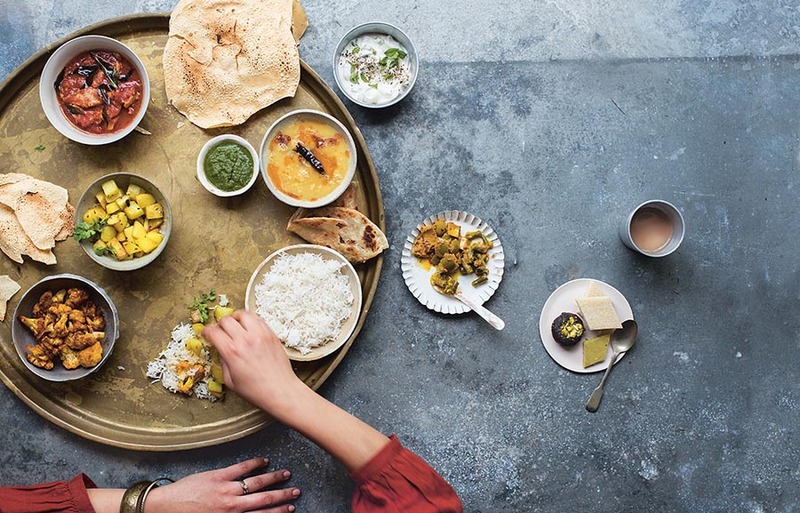 I like being papmered and cooked for… 🙂 but that’s because I know I can trust my husband in the kitchen 🙂 not to make me a curry [sigh] or some cookies [double sigh] but with pretty much anything else! btw, i _love_ this recipe! It’s a shame I have no lamb at home. I know chicken is never a substitue for lamb, but do you think this would work with chicken, too? Thanks! btw, i have a cold and feel pretty rotten myself, too… aarrgh i hate this! Hi maninas, of course it would work with chicken. It won’t be as good as lamb, but it’ll be good nonetheless. Hope you feel better soon! This looks fabulous. My favorite indian restaurant in DC is Rasika. 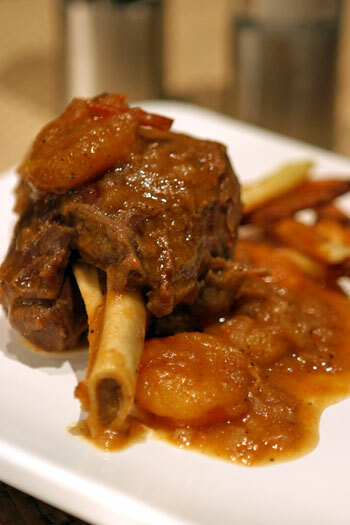 During their winter menu, they produce a lamb shank that is very similar to your offering. Love this recipe! i have made it a few times now. i substitute the potatoes with chickpeas, goes just as well! added I receive four emails with the same comment. I hope you've enjoyed visiting my website. But before you go, why not check out my simple vegetarian recipes, my deliciously quick meat dishes or maybe even join me in the kitchen in my video recipes.